Description: New genuine Acer dvd/rw optical drive front cover bezel. This is only the cover and not the actual drive. **There is more than one of these for each laptop model. Please check the pictures closely to make sure that you are ordering the correct one. 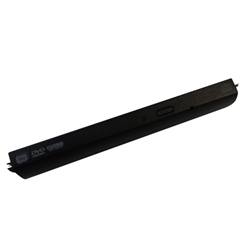 Acer Aspire E1-571, E1-571G, E5-511, E5-511G, E5-511P, E5-521, E5-521G, E5-551, E5-551G, E5-571, E5-571G, E5-571P, E5-571PG, V3-572, V3-572G, V3-572P, V3-572PG, V5-572, V5-572G, V5-572P, V5-572PG.